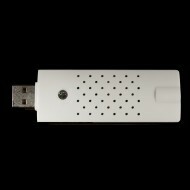 As you have probably heard by now, the RTLSDR is a cheap DVB TV usb stick that can be used as a Software Defined Receiver (SDR). Most of them cover from around 50MHz up to 2200MHz (2.2GHz). A while back I decided I wanted to receive the HF bands with the RTLSDR and decode the digital modes or just listen to the guys ragchew. It makes a nice little device to carry with you when you travel, instead of lunking around a normal HF rig from the shack. As many of you know an upconverter or receive converter if you prefer is just a local oscillator, a mixer (NE612 or similar), some filtering, and the RF coming in from the antenna (along with some misc parts). The mixer takes the incoming RF from the antenna and combines it or ADDs it to the frequency of the local oscillator then feeds the sum on to the receiver as RF at the combined frequency. For example, You want to listen in on some net on 40m. 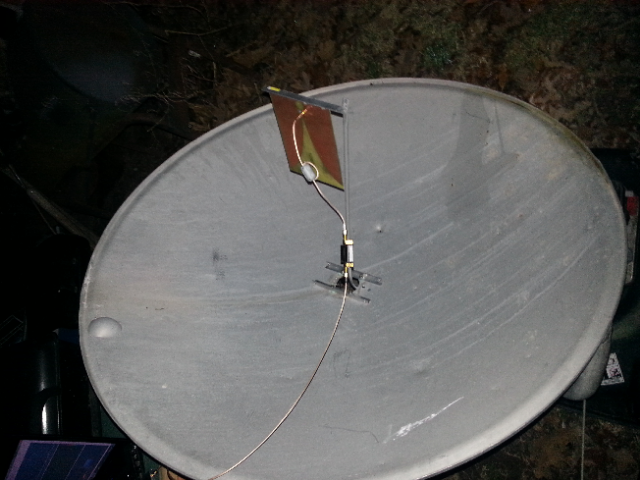 Say the Kadiddlehopper net on 7.253.5 MHz. The local oscillator frequency on the upconverter is 120MHz (or whatever you have handy, 120MHz is now the popular choice). 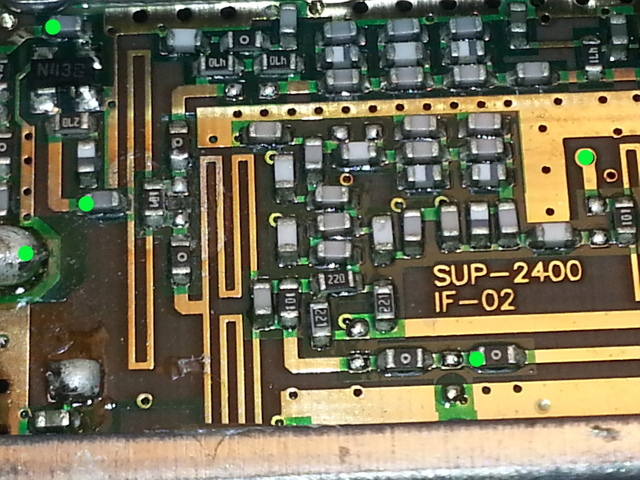 The upconverter mixes the two frequencies and forwards the sum to the receiver, which would now hear at 127.253.5 MHz. Pretty simple isn't it? This practice works as far as your radio will tune, within limits of the mixer of course. Using this method we can easily create an upconverter for the RTLSDR to cover the entire HF ham spectrum and everything in between. Broadcast AM, Commercial Aviation, Government, Military, Embassy, Utilities, and lots more. The schematics I got started with for my first build are over on George Smart's wiki. The only difference is I used a NE612 mixer and he used an SBL-1 mixer. The both work just fine. I've expanded and somewhat redesigned mine to include switchable filters, gain control, antenna selection, and frequency stabilization. I'll get off my lazy duff and either scan my schematic or recreate it in Visio or one of the others I have here and upload them as jpg files if you want to take advantage of the additions I've made. Don't want to build your own? 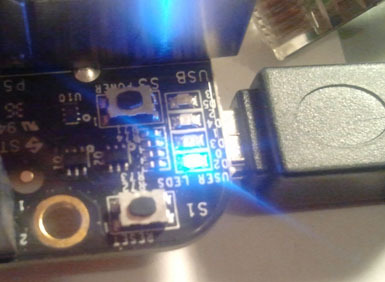 There are several upconverters now on the market for the RTLSDR, but I prefer the one from NOOELEC. The HamItUp V1.2 RF Upconverter works really well and this version includes the 125MHz oscillator so you won't need to use an FM band reject filter that was sometimes necesssary with the 100MHz oscillator. BONUS! We had space left on the PCB, so rather than waste it we have added a noise source circuit at no additional cost! We have even populated most of the components for you. We have kits of the components required to complete this bonus noise source circuit available for a small additional fee. Details of the noise source circuit are available with the project documentation, and a detailed image of the circuit can be seen in the pictures above. 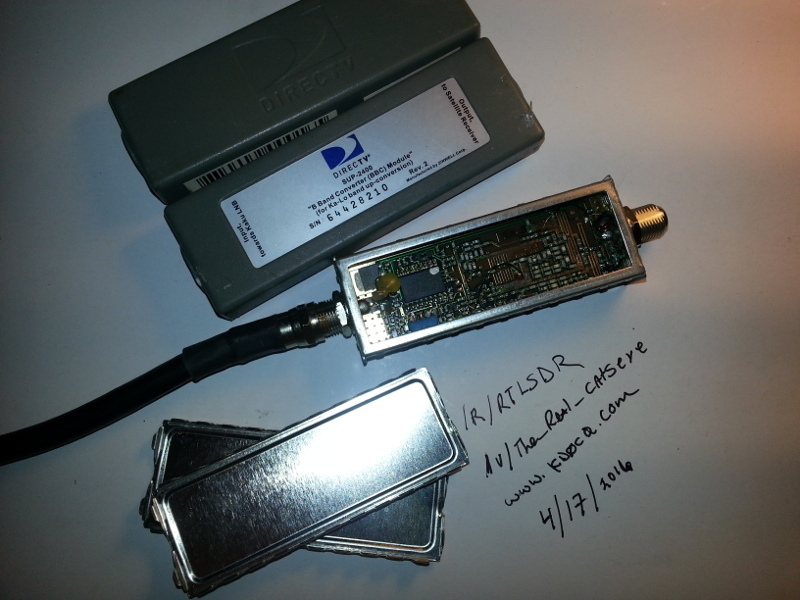 1 Comment on "RTLSDR Homebrew Upconverter"